Although not as well known in Canada as other sports, water polo is popular internationally and is recognized as one of the most demanding team sports for developing well-rounded, physically fit athletes in both strength and endurance. Teams consist of six players and a goalie. Game play involves swimming, treading water (using a kicking motion known as an eggbeater kick), passing a ball about the size of volleyball, and scoring by getting the ball into the opponent’s net. Water Polo is more than just an Olympic Sport. Water Polo is a lifetime activity enjoyed at all levels by men and women of all ages across the world. As a game, water polo is an amazing combination of a team ball sport and water. The game is similar to a scaled down version of soccer in the pool but utilizes a lot of the same tactics as basketball. The nets are smaller (3 meters across by 1 meter high), there are 6 players and one goalie a side, and the field is limited to the size of the pool. 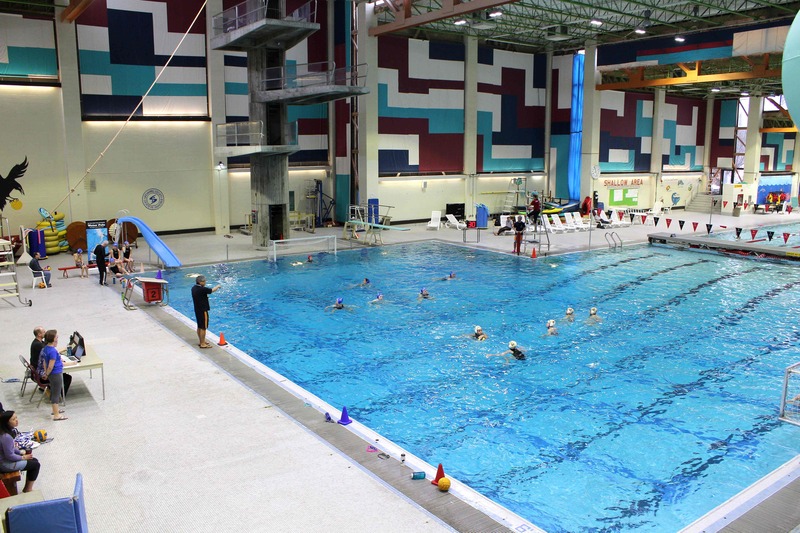 In addition, water polo has off-side rules, penalty areas, free throws and penalty shots. The sport of water polo was first developed in England about 100 years ago with a group of horse jockeys mounted on wooden barrels knocking a ball around in the water. This “polo” connections has remained in name but no much in actual play. Water polo players nowadays must rely on their strong arms and legs to propel themselves not just up and down the pool but also up out of the water (sometimes past their swim suits) for passes and shots. Put the qualities of a competitive swimmer, synchronized swimmer and football player together, and you would be close to the qualities of a water polo player. 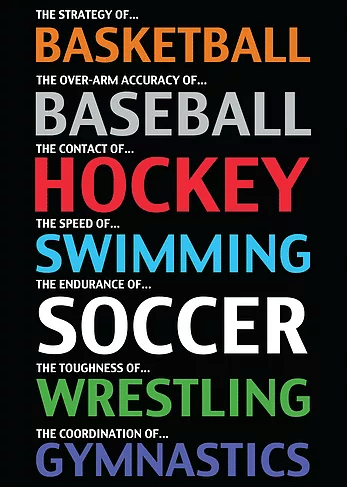 Water polo is more than just a physical activity. Players have many opportunities to meet friends, travel and excel in this sport. National and international champions and Olympic team athletes have come from the National Capital Region.